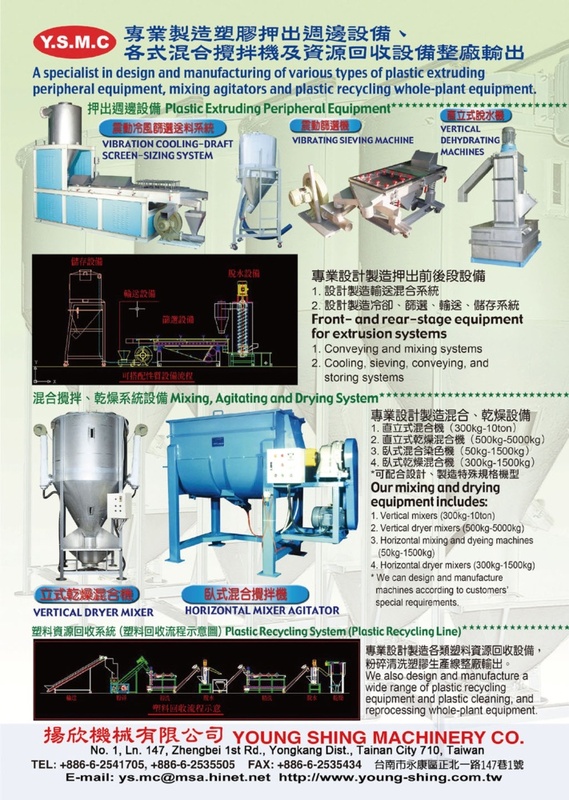 Young Shing Machinery Co., Ltd. specializes in manufacturing pasture mixers and auxiliary equipment for plastics machinery. Such equipment include various mixers, mixer agitators, screw conveyors and vibrating sieving machines. We are constantly keeping abreast with the latest technologies, relentlessly innovating ourselves to design better machines with higher efficiency and more user-friendly features. It is little wonder that we have a loyal following of impressed customers and have been awarded with many patents with for our R&D efforts.